PRICE REDUCED! Outstanding corner lot fronting Great Mills Rd. and Suburban Lane. Zoning permits many uses in the Downtown Mixed Use District. Old abandoned home on the property has no value. 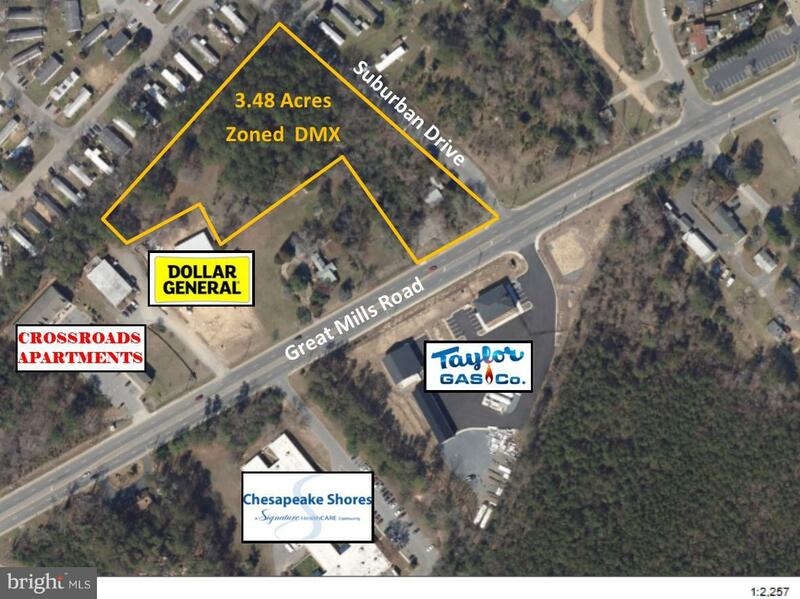 Your client can be a part of the revitalized Great Mills corridor leading to Pax River Naval Air Station.